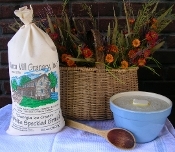 Welcome to Nora Mill Granary. 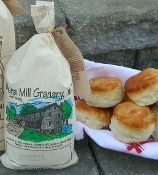 Nora Mill Granary is a fully operational grist mill that sits alongside the Chattahoochee River in the foothills of the North Georgia Mountains that stone grinds and produces all kinds of corn and wheat based products such as grits, corn meal, pancake & waffle mixes, flours, biscuit & bread mixes, pioneer's porridge, and the like. 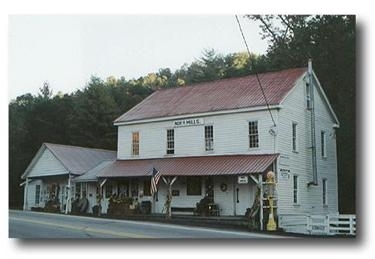 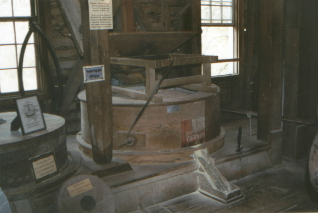 In addition, we have a nice old fashioned gift shop that we have named "Nora Mill Next Door," that is stocked with hundreds of new items and is equipped with a large kitchen built exclusively for cooking samples of the products that we offer.